The first time my husband mentioned “Icebox Cake”… and explained what it was… I was like, “this is not cake!” Even today, I still find the name to be somewhat funny… but it is what it is! I learned to make this as a newlywed… as it was hubby’s favorite dessert. Today after 48 years of marriage… he makes it. How times change! Hubby (baby) with the Italian cooks in his family. Great Grandma Julia holding him, with mother Celia and Grandma Minnie behind. Most of the Italian recipes have stemmed from my mother in law… but she made her icebox cake a little different from the way we now make… although mostly the same. She sometimes added bananas or fruit, which we usually don’t. Hubby mostly only eats this, and he’s not a fan of fruit in his pudding, although I enjoy sliced bananas in it. But if you use bananas… drizzle them first with lemon juice so they don’t brown… and I suggest making a small dish as they don’t keep well… but it never lasts long in our house anyway! She also added vanilla extract to her chocolate homemade pudding and lemon extract to the vanilla pudding. I never liked that difference in tastes, so I keep mine original… adding vanilla extract to the vanilla and chocolate chips to the chocolate. I was taught to make Icebox Cake with pudding made from scratch… which was always called “Italian Cream”, which isn’t hard to make, and sets up better than the instant or cooked pudding in boxes; he often will use the box cook pudding in a pinch. If you’d like to try your hand at making “Italian Cream”… recipe is below. It’s really easy to whip up and always a good way to use up any extra milk you might have on hand. chocolate chips (abt 8 ounces) “only” in chocolate pudding. Can add more or less depending on how chocolatey you want it. In large saucepan (5 quart) add egg yolks and milk, whisk to blend well. Add sugar and cornstarch…. turn heat on low and begin whisking all together… slowly add more heat. Once everything is all blended together, I keep heat on medium to slightly higher; stir constantly with wooden spoon. It needs to first come to a medium bubble, then have a medium-low bubble until you feel the mixture becoming thick. When you remove the spoon and the pudding drops off in a clump, it’s ready to take off the heat. Don’t walk away from it, and stir constantly… or you’ll have burnt pudding… just saying! I remove half of my Italian cream to a bowl, and to that half I add 1 to 1 1/2 teaspoons of vanilla extract. To what is left in the pan, I add chocolate chips… adding enough to make it turn into the chocolatey consistency and taste you want… there’s no set rule. You can also make it all vanilla or all chocolate… we just like it half and half. Whisk it well so there are no clumps. Cool the creams, leaving a layer of wax paper on top… to help it not develop a film, but if it does, just take the whisk and mix up well. Sometimes you need to use the whisk again anyway to make it nice and smooth. My recipe is for a large pan, but you can easily make any size pan you want. Usually my husband makes it in a smaller 8 inch square pan… empty nesters now! He’s meticulous in how he lines the dish with the crackers… filling it in all nice and perfect and squared off…. me, I’m not so neat like that. It takes only one batch for small dish. Hubby forgot to call me after he layered the graham crackers, but here it is with the first layer of chocolate pudding. Graham crackers also cover the bottom. Lay a layer of graham crackers after first layer of pudding. A layer of vanilla pudding is added on top of chocolate – a layer of graham crackers is in between. A final layer of graham crackers covers the vanilla pudding. You can also use crushed graham crackers on top if you don’t want solid crackers. Besides making an Icebox Cake with the Italian Cream… it makes an awesome chocolate pie, which we call Italian Cream Pie. You can either make your own favorite crust… or cheat like I have, and buy a crust. This is a favorite to make at Christmas for us. Do you make Icebox Cake… let me know how you prepare yours! My first Easter in my new Italian family was very strange to me…so many unusual foods with even stranger names. As I watched my mother in law prepare the pies… well, I can’t even remember what I was thinking, but every time I was asked to try, my answer was always “No Thank You.” I just couldn’t wrap my head around a pie made with ham… but what was I thinking… it’s really no more than a quiche! Ham Pie today, is one of my favorites… and as Easter is on the 21st this year… this post is fitting in at just the right time! Like clockwork… every Easter Grandma Minnie would be called to ask how many eggs, or how much flour do I need for the crust. My mother in law had no written recipe for this… and my question always to her was, “why don’t you write it down so you don’t have to call all the time… what happens when she isn’t here to call.” That was the beginning of me taking upon the task of writing a recipe for the Ham Pie and the pepper crust that must be used. I never thought of using pepper in a crust… and seems really strange, but believe me… it just doesn’t have the right taste without it! Grandma Minnie had “no” written recipes… they were all in her head… and now it was my job to set them to paper. No more calling every Easter! Our grandmothers had very few, if any recipes written down… they just cooked! My own grandmother had no recipes… my mother told me. They knew how to cook from the feel and taste! I knew that if I was going to bake Ham Pie, I needed to create a recipe… and it was those recipes I created that actually pushed me write two family cookbooks for the family. On the day Grandma Minnie was going to make her pies… I sat myself across from her and watched… and measured her soup dishes that she scooped the flour with. I couldn’t measure everything, but after making it a few times myself, I devised the ingredient amounts. I believe she could make this pie blindfolded… as she’s made it for so many years. I wish I’d kept my first scribbled notes on that day… it would be funny to look back and read all I wrote. As I mentioned, a pepper crust always goes hand in hand with the Ham Pie. Some people don’t even use a crust… and I have to admit, that if I happen to have extra mixture, I often bake it alone in a pie dish; nothing gets thrown out! 23-25 large eggs, beaten (I always use an odd amount of eggs – why – because Grandma Minnie told me too!) This is for a 15 x 10 baking dish. You can cut this down if you want to make a smaller dish… the ingredients are very forgiving. When Grandma Minnie taught me how to make this pie – she stressed to always use an “odd” amount of eggs. I’ve never dared to use anything other than an odd amount… as I can still hear her in the back of my head saying, “ohhhh”, you must use an odd amount!” I think it’s an Italian “bad luck” curse… and I wasn’t going to test it out! The filling is easy – and even easier if your sous chef has pre-cut the ham for you. Hubby cuts each piece exactly the same size! While hubby cuts… Penelope kept a watchful eye on my ham! You won’t have a bowl large enough to hold everything… well at least I don’t, so I always grab one of my 5-quart pots to mix the ingredients in. It’s so much easier to have a deep pan, especially when whisking eggs. After counting out all my “odd” amount of eggs, I crack them first in a separate bowl… unless you want to try and fish out an eggshell… or worse… miss a shell. Nothing worse than biting into a piece of eggshell! Whisk the eggs very well… and save all the eggshells for your garden. Add pepper and parmesan cheese, stirring all together with wooden spoon. Last, fold in the ham and basket cheese… if you think it needs more, add a little at a time… stir around and if you’re happy with it… you are done with the mixture. It will look similar to a quiche. If you like pepper and think it needs more, this is your last chance! Now the back-breaking part…. making and rolling out the crust! Once my ham mixture is put together, it waits in the fridge… better for it to wait, than the crust. After rolling out my crust, it needs to be placed quickly in a waiting dish that has been well-greased with Crisco. It will now wait for you to quickly roll out the top crust. My metal scooper/scraper is the best tool for pie rolling… if my dough sticks as I roll out, I use the scraper (floured) to help nudge it loose; it also helps to clean off the table when through. 2 tsp pepper (judge amount of pepper you want; don’t add all at once; remember you can always add, but you can’t subtract! Over the years, I have come up with different ways I cook – one new thing when making my crust is I use a plastic tablecloth to work on. If I make all my crusts in one day – all I do when I’m done is roll up all the extra flour and throw it out. It makes for an easy cleanup! I don’t know about you, but by that time, my back is breaking from leaning over the rolling pin – Viola – my kitchen table is clean! And it always helps to have a sous chef in the kitchen – and that’s my husband! To make the dough: Sprinkle the center of your table (rolling area) lightly with flour. In the middle, add the 3 cups of flour and baking powder together in one pile – add your pepper here also. With a spoon, slightly stir those two together, then form a well for eggs and liquids. In the well I add eggs, Crisco and half of the water and begin lightly mixing together with a fork, mashing the Crisco down into the flour and eggs. Once I’ve mixed it lightly – it’s then time to get your hands in the dough – you need to feel the texture. Check your dough as your work – don’t forget to add the rest of the water either – do you need or want more pepper – now is the time; remember it’s all to your taste! I like just enough, but not overpowering. Don’t overdo adding extra flour… if your dough is too stiff… you will have a heck of a time rolling it out… believe me! I enjoy the feel of the dough and after you’ve made it a few times, you will know the smooth, somewhat soft feel of it. It shouldn’t feel sticky, but soft and tender is good. Too much flour will made a tough, stiffer dough, and you will pay dearly with your back in rolling it out. When rolling out the dough, flour your rolling pin well and keep well floured; it helps to not stick and your dough to not rip. Separate your dough into two parts; one smaller ball for the top crust, about one-third. Wrap the smaller ball in saran wrap and set aside. Clean off the older flour from mixing the dough and re-flour the table generously! With floured rolling pin, roll dough out to match the size dish you are baking in… you don’t want the dough too thick, so roll it thin… but not super thin. After I’ve rolled it out, I back roll the dough up on my rolling pin (very lightly), and while the dough is wrapped around lightly on my rolling pin… I gently, and quickly, lay it inside my “greased” baking dish. (Always grease your dishes before rolling) It’s good to have a buddy in the kitchen when doing this… just in case you’ve forgotten to bring your baking dish close to you, and it’s greased… you don’t want to lay your rolling pin “down” with the dough wrapped gently around it… you need to move quickly so it doesn’t stick together. Pour the “ham pie” mixture into the bottom crust before rolling out the top crust – you’re almost done. Roll out your top crust in the same way as you did for the bottom… rolling it up on your rolling pin also. After your top crust is on, I cut off some of the crust all around if too long… just leaving about two inches hanging over the edge of dish. I then fold those two crusts together and tuck under… alongside the inside edge. I pinch the side sticking up together like any other crust you make. There is no right or wrong – it’s your decision! Make a few slits in top crust for steam to escape while baking. Preheat Oven 400 – bake 10 minutes then lower to 325 for about 1 hour or more. You will know when it’s done, the top will be lightly brown and usually, it will pull away at the side of the pan. It helps to use your stove timer – if you can remember! Some egg will run up and crack the crust on top… it just happens. After removing pan from oven, let sit for about 20 minutes. I prepare my large cutting board with two large layers of tin foil with paper towels on top… why… because you need to place that on top of your pie and flip onto it. If you don’t remove it from pan, the bottom crust becomes soggy. I then take another large baking pan and prepare the same way…. as once it cools again… you need to flip over until the pie has cooled down. I flip it a few more times in the cooling down process. My earliest “ham pie” helper… can you tell this was before digital cameras… no do-overs when the picture came out blurry… but I’ll still take it. I sadly have very few photos of my children helping in the kitchen… as I often shooed them out! I’ve never been able to cook with another helper in the kitchen. If I wasn’t alone, I forgot items and the recipe never came out right. I wish now I had taken more time with those helpers… I would have loved to have had those photos instead of the recipe turning out right! Hope you’ve enjoyed my family recipe! 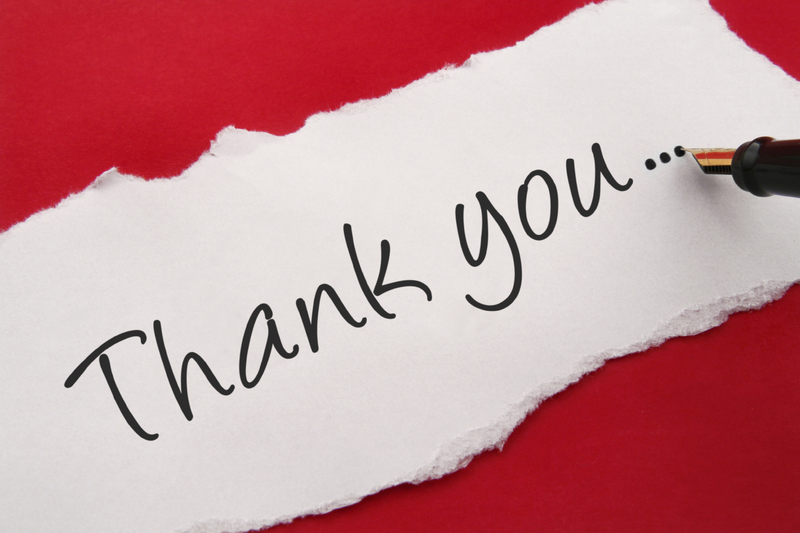 Feel free to comment any questions you might have… be happy to help! Love to hear about your “ham pie” cooking. I had never eaten any type of biscotti in Georgia before I married, or even heard of it… another new food for me… and I do love all types of biscotti with my coffee, but only American coffee for me. I’ve tried the Italian espresso, but I still have not acquired a taste for it… I don’t like strong coffee, but I do love dunking my biscotti in my coffee! Grandma Minnie’s sister, Mary, gave me this recipe along with another one that has molasses in it. Minnie never wrote any of her recipes down… she had everything in her mind… and still had a sharp mind even at the end. When Aunt Mary gave me the recipes, she told me that Minnie learned all her baking from Rosie, the neighbor who lived in the stone house up the hill, behind their farmhouse. Grandma Minnie never measured when she cooked… she just scooped up the flour, using her soup bowl dishes… and being the cook she was, she just knew how much to add. Grandma Minnie had several Espresso sets… I’ve always loved those little teacups and feel honored that I was given one of her sets. Murzettes was always Grandma Minnie’s “go to” dessert when anyone stopped by… out came a few simple ingredients and before you knew it, a dish of these tasty treats were on the table waiting for the coffee to finish perking. Grandma Minnie always sat next to the stove watching the coffee! Grandma Minnie waiting for the coffee to perk! I copied the recipe out of my cookbook I created many years ago and actually wrote the name wrong… I wrote it as I heard it, but I believe the name of Murzettes is correct… which means a biscotti type cookie. A name they used long, long ago! Aunt Mary also gave me another of Grandma Minnie’s Murzette recipes, this one made with molasses. This Murzette recipe Aunt Mary gave me also, and I’m thinking it’s in her actual handwriting… so much fun to have the recipes in their own writing. I see here that Mary wrote the name out as “Murzette.” And as usual, she liked to write out a shorter version for herself! I thought this little poem went well with these recipes! put them in the field, stirring constantly. deep blue sky and bake them in the sun. When brown, set away to cool in the bathtub. I must apologize that I have no photos of the Murzette cookies as I’m traveling… sick with bronchitis… and plans changed on additional cooking! Maybe when I feel better I will post photos. Do check back…. 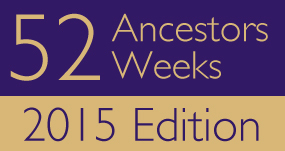 The “DNA” on Ancestry made updates last year… changing everyone’s original percentages… some good… some unexpected! The picture above is my original DNA results – below is updated results. The initial Europe West of 48% has updated to Great Britain at 71%. My Ireland/Scotland/Wales of 35%, decreased to now 20%, a fifteen percent decrease. I lost totally the Finland/Northwest Russia 2% and Europe South of 1%. I’d wondered where I figured in on the Russia DNA… I now have 7% DNA of Norway descent and 2% of Swedish roots to figure out! My DNA matches tell me I have over 1000 new cousins to weed through… so very overwhelming! Why did my DNA change? Ancestry says that they now have over 16,000 reference samples, instead of the 3,000 which they used to analyze my sample. I’m wondering if our DNA samples will continue to change as more people test? A little Ancestry DNA info: DNA is made up of strings of four different letters: A, C, G, and T. Our old algorithm looked at one letter at a time, and based on where that letter appeared in your DNA, it decided where that bit of DNA came from. Our new algorithm reads longer stretches of your DNA at once, making it easier to identify regions of the world where you ancestor once roamed. My last DNA post showed 30 circles, but since that post …. they have increased to now 36 circles. While they aren’t definitive… it’s another tool offered in looking to prove or disprove your ancestor… and discover new cousins. Another tool called “Thrulines” is now, somewhat, taking over the circles… it’s become the hot topic in the genealogy blogs lately… I need to take a peek! Sarah “Sally” Free initially was at 14 members, now 26; Martin Free was at 48, now 107; Elizabeth Oswald was at 45, now 98; James Bryan was 32, now 101 members. Berrien Clark Bryan was 7, now 26; Elizabeth Cain first had 27 members, now 90; Samuel H. Gooch had 7, now at 22; William McKinley was originally at 5, now I have 19 members sharing DNA. Sarah Beaty had 5 members originally, now at 19; Berilla Priscilla Free was 6, now at 23; John Andrew Jackson Grizzle was 30, now 116; Sarah “Sally” Taylor was at 37, now at 136 members. Robert C. Wilson was at 5, now 22; Jemimah Hines was 3, now 23 members; Elizabeth “Betsy” Grizzle had 6 members, now there are 24; Tillman D. Gooch was 13, now 27 members. Isham Meadows had 46, now at 84; John Beaty initially had 5 members, now there are 10; Serena Kittrell had 5, now at 14; New – Elizabeth Connell at 22 members. William McKinley Sr. was originally 12 members, now 25 members; New – Penelope Owsley at 16 members; William D. Meadows was 6, now 12 members. Margaret UNK was 11, now 19 members; New – Littleton Mapp at 5 members; New – Mary Harvey at 9 members; New – James Askew at 7 members. Timothy Fortner was originally 7 members, at 4 members now… what happened there? ; New – Robert Howson Mapp at 6 members; New – Martha Barnes at 4 members; James Arthur “Jim Art” Grizzle was 11, now at 20 members. All these changes, especially adding more members into my circles, tells me that there more people are testing their DNA… interesting to see the changes! James Gooch (5th great grandfather) James is the son of Tillman Gooch, who was in my circles… but he was never my grandfather… his brother Samuel Gooch was, and he is in my circles. Francis Goode (4th great grandmother) I don’t have her in my ancestry tree. William Madison Bryan (2nd great grandfather) I questioned that maybe the “t” that I had on his name in the very beginning was the problem, so I removed it… but it took a long time to finally show in my circles. Ancestry once said the DNA circles go back 6 generations – I’m still waiting for no 6! Maybe they’ll break down my brick wall on John Bryan for me… that would be getting my money’s worth! Fried Peas was nothing I ever ate in my husband’s Italian family… they never even heard of them. I first ate these at my daughter in laws house, and immediately fell in love with them! And yes, she’s Italian! She told me that it’s the only way she’s ever eaten peas… no can peas were ever served in her house! This is a quick and easy dish to prepare with simple ingredients… frozen peas, onion, s&p and oil. I use vegetable oil, but you could also use EVOO if you’d like. I try and buy the petite peas as I’m not fond of the bigger peas… but use what you like. This would be an easy lunch meal with a fresh loaf of Italian bread! Before marrying and moving to Connecticut, this Georgia girl had never eaten peas… all I’d ever known was peas in a can called… English Peas, and I wanted no part of them, but these are in a whole different ballpark. I eventually tried the LeSueur can peas and liked them ok, but now since I’ve eaten fried peas… there is no turning back for me! I cook everything, well almost everything, in our cast iron pans… love them, especially the older ones. The newer brands are awfully heavy, but if you can grab one from your grandmother, you’ll never cook in anything else… just never put it in the dishwasher! For the most part, you just wipe out clean… and it Never goes in the sink. I always leave the pan cleaning to hubby… that’s his speciality. We have a large collection of cast iron pans and he’s the expert in cleaning them, so I have no problem in leaving that chore to him. So grab your pan of choice, pour a good splash of oil in, warm it up on a medium heat and add your sliced onions… as much as you’d like. You can never have enough! I cook them on low heat or slightly higher if I’m rushed, and when they are just slightly turning brown on the edges I throw the frozen peas in… no need to defrost. Leave the pan on just slightly medium or lower, stirring every so often, and adding a little salt & pepper. If you feel like you need a splash more oil, then do so… as you don’t want to dry up the peas. I probably cook them about 10 to 15 minutes… just keep stirring ever so often… and keep a close eye on the pan. I wasn’t watching closely last time in cooking them, as I left the kitchen and became absorbed in the TV… until I smelled them… there were a few that were a little darker and crunchy… but still all good. There’s no set recipe on this, it’s a matter of just adding what you need or want. I’ve often thought of throwing in a few mushrooms, but never seem to have any at the time, but one day! Hope you’ve enjoyed this little simple recipe of just fried peas. There’s so much you can do with peas, even peas and pasta. I can easily see this dish all prepared and thrown in with pasta and another splash or two of EVOO… might have to give that a try next time… there’s still another bag of frozen peas in my freezer… easy peasy dinner meal! My grandfather in Georgia never grew this purple vegetable! It took me a long time before I ventured to try eggplant, but after watching my mother in law fry it so many times… and seeing everyone but me love it… Eventually I tried it… and soon developed a love for it… I was hooked! Prepare: I was taught to always peel the skin off… many leave it on, but I feel it gives a bitter taste and totally changes the taste… at least to me! So “off with the skin“! After skinning the eggplant, find your sharpest thin-blade knife and make the skinniest slices you can make… but watch those fingers! My mother in law always laid them out on a pan and slightly salted… letting sit for about 20 minutes… the salt draws out some of the moisture in the eggplant. Pat the slices dry… and you’re almost ready to fry! There are two choices in frying eggplant, and it’s totally up to your taste. They can be dredged in flour or Italian seasoned bread crumbs or even panko. You also need an egg wash to dip in. Originally my mother in law used a wash of eggs and grating cheese mixed together, but I’ve shortened it to only batter of eggs. I went through too many eggs that way, so I changed it up… adding grating cheese on the layers when I prepared the Eggplant Parmesan. I don’t think it tasted any different, but you can change it up either way. Don’t forget to use paper towels in between layers… I absorb as much oil off as I can. My husband cooks, but I don’t let him fry anymore… he tries to simmer! I told him fry them fast and get them out of the pan. My mother in law only used flour as part of the frying process… first flouring several of the slices before starting. I keep flouring the waiting slices while one batch is frying. You can either flour them first, then dredge through the egg wash, then in the pan, or through the egg wash, through the flour and then back in the egg wash, then to the pan; double dipping gives them a thicker crunch on the outside. It often depends on my mood as which way I use… there are some days you don’t want to stand any longer than needed over a frying pan… I’d be missing Facebook time! In frying the eggplant slices, have your oil hot… you want to quickly brown them and get them out of the pan. Lingering in the oil, only allows the eggplant to soak up more oil. Have a waiting pan layered with paper towels… and the more you fry… add more paper towels in between the layers. Nothing is better than enjoying a freshly fried eggplant slice… be sure and grab the jar of parmesan cheese and sprinkle on. I learned that trick from my father in law… he only liked them freshly fried, no sauce. Whenever I made eggplant, I always took him a small dish of just fried eggplant… no sauce! I love both ways though! Eggplant Parmesan: Once the frying is over… youre ready to wrap this dish up. You can either make your own tomato sauce or use a jarred sauce. We all have our own “go to” sauce when we don’t want to make. Use the dish of your choice, small or large. I add a thin layer of sauce on the bottom, then layer eggplant slices, sprinkle parmesan cheese, S&P, then repeat until you reach close to the top… keep your distance as you don’t want it to bubble over… and we’ve all done that. I add a light or heavy layer of mozzarella on top. Hubby likes to always put a pan under mine to save the stove bottom… it’s come in handy more than once! I cover mine with tin foil… helps to keep the heat in and cook faster. Cooking time at 350 depends on the size of your pan. I check it in about 30 minutes and if it’s bubbly and I can stick a knife in and it feels tender… it’s done! How do you eat your eggplant? I like mine just fried, or as eggplant parmesan, which we usually eat in a hard roll as a sandwich. If I make a large dish, I like to always freeze a dish of it for one of those days when you just don’t know what to eat… or want to cook… and those days come more frequently now… the “not wanting” to cook part! Do you have a favorite eggplant recipe… do share with me and let me hear how you enjoy it! Artichokes are a vegetable I never heard of until encountering it on my first Thanksgiving with my in-laws. I remember watching my father in law prepare them and thought that this is the most oddest looking vegetable with pointy leaves that I have ever seen! It definitely wasn’t anything that my grandfather’s in Georgia had grown in their gardens… and those pointy leaves definitely give you a hurting! Preparing the stuffed artichokes was only prepared by my father in law… it seemed it was a dish that his Sicilian mother prepared often for the family. My mother in law’s mother never made them, so she left the preparation to him… but she enjoyed eating them. Whenever my father in law cooked… it was a process… he never rushed to prepare anything. I definitely see where my husband inherited that trait from. Dad was quite meticulous as he diced and sliced all he used into uniform sizes. Artichokes are a popular vegetable grown in Sicily and probably why Nonni cooked them so often – a food remembered from her home country. My husband remembers his grandmother cooking them often when he spent time there in the summer. That first encounter with being offered a stuffed artichoke… was a flat “no thank you“… but I was inquisitive. It was quite the process in eating them… pulling off each leaf and sucking and scraping off whatever was on there… they sure made it look like fun… I kinda felt left out! It was several years later, after watching, and feeling like I was missing out on something really good, did I venture to finally accept a stuffed artichoke at Thanksgiving. It didn’t take me long to actually look forward to those artichokes and it wasn’t soon after that when my father in law asked me to make them for the holidays. He was passing the baton to me… sure hope I made him proud! I learned from the best! The picture isn’t showing exactly how larger than life these really were… I sure wanted to make them day… but now it’ll be another day! Ready to buy…. The best artichokes are not necessarily the biggest ones on the counter, so bigger is not always better! But do look for a nice size with leaves closed and tight… if the artichoke is soft and has loose leaves…. buy another day! They also sell baby artichokes, but I don’t use them for stuffing… but they are great as an appetizer… prepared with almost the same ingredients. Don’t forget to buy a couple lemons when you buy artichokes… I’ll explain later. Preparing: If I have several artichokes to clean and stuff I usually fill my 5 quart pot with cold water and cut a lemon, squeezing lemon juice in the water and leaving the lemons in there also. This is where I put my artichokes after cutting. To Clean: This is the fun part… well, not really! All those pointy stickers on the top of the leaves must be cut off. I cut down about half of the leaf… and that means on every leaf. I didn’t say it was easy… and yes you probably will get pricked a few times when doing this, but it’s so worth the pain! After cutting all those prickly tops off, I cut the very top of the artichoke off, maybe about a half-inch to an inch down. I then rub that cut part with half a lemon to help it not turn brown… yes it’s one of those veggies that when exposed to air… turns brown. And as artichokes grown on a stem, you need to also cut the bottom under the stem off… so your artichoke sits flat in the pan. Next, you need to open up the artichoke so the inside can be stuffed… and find that pesky choke, which must be pulled out. That took me some time to wrap my head around that, but once you get a mouthful of “hairs” you’ll understand. In the center of the artichoke, and before the heart, is what is known as the choke; look inside, after slightly opening up the middle of the artichoke, and you’ll see it. I take a teaspoon and slowly work around the sides to lift out… it takes a few tries before you think you have it all. Don’t overdo or you’ll have dug up the heart also, which sits just underneath… and is considered the best part of the artichoke. If you have no idea of what I’m talking about… I suggest googling and watch a youtube on how to lift it up. There are some people who just leave it and carefully eat around it… I’d rather get rid of it and not have to pick around it at the end. Anytime you aren’t handing the artichokes before stuffing, keep them in the lemon water… keeps them looking fresh. To Stuff: Stuffing is a matter of choice, some people do and some don’t. They actually are pretty much a meal of their own when stuffed… especially with a bread stuffing. Often people even cut them in half and share… after all, you’ve just eaten turkey and stuffing with all the trimmings… not much room left! artichoke stems: (optional) My father in law always saved the stems. He’d peel the outside bark off, leaving a tender stem. He diced several of them up to throw in his stuffing. This can be optional as it is a timely process, but it adds flavor… and because he always did it… I feel compelled to dice just enough up until I tire of doing it. Bake 350 oven – Cover artichokes – steaming helps to cook them. Cooking time varies with the amount your cooking and size of artichokes. After adding water to the pan, and before I put in oven, I gently take a knife and make slits down into the stuffing, then I drizzle with oil and sometimes even ladle some of the water in pan over them. That helps to moisten all the stuffing you’ve packed in. Cooking time abt. 30 minutes, but you’ll tell when they’ve softened enough. They need to be basted along as they cook… be sure the stuffing is staying moist all the way down by poking with a knife or fork before you baste. They need lots of TLC! Prepare stuffing: In bowl, add breadcrumbs, which is guesswork as to how many artichokes you have; maybe a quarter cup per artichoke. Add all ingredients and drizzle enough olive oil over to just wet everything together. It depends on how many artichokes you’re preparing as to ingredients used. Pepperoni can be substituted with anything you might fancy or not… crabmeat would be awesome. Stuff artichokes in the center, packing slightly down… sprinkle stuffing in many of the leaves as you want… I didn’t say this was going to be a quick process! They can be cooked on top of the stove and or in the oven… I have cooked both ways. Place in a deep pan with just enough water to cover them almost halfway up the side of the artichoke… but not really halfway. Drizzle olive oil on top of each artichoke, add salt and pepper to water. As they cook, ladle juice over the artichokes… using a knife or fork to prick the stuffing, so the juice goes down into the stuffing to keep it wet. Cook until the leaves just pull gently away. Try and not overcook… which I’ve done… as they will totally fall apart when lifted out of the pan. To Serve: Usually they’re served in a soup bowl, drizzled with a small amount of the liquid cooked they simmered in, but that’s optional. We usually ate them after our meal… it seems to be more an after-dinner accompanant… at least it was in hubby’s family. By the time I finished my meal, I never had much room for a whole one, so I often shared one with him. I always say I’m going to make them as just a one-meal dish, but it never seems to happen. Baby Artichokes: They aren’t easy to find and sometimes it depends on which grocery locale you go to which might actually carry them… usually only around holidays. Baby Artichoke Appetizer: I quarter or even half these; have a lemon to rub on some of the cut edges. Throw all in a greased baking dish drizzled with olive oil. Sprinkle light or heavy with seasoned bread crumbs, chopped garlic, parmesan cheese, S&P, parsley… basically use what you would stuff your artichokes with. Once you’ve added that on top of artichokes, gently mix all together. Drizzle more olive oil on top… can add a little amount of water and cover with tinfoil so they steam. Bake 350. I keep checking on them till they’re done, as they cook faster and you don’t want them to dry out. I’d suggest setting timer for 15 minutes to start with. You might need to add more oil or water if you feel they’re too dry. Hubby always shakes his head with me when he asks how long to cook something, as I say… “I don’t know, till I think it’s done.” It’s an easy appetizer to prepare ahead and sit back in the fridge until ready to cook. Dad enjoyed climbing up in his red maple tree with the grandchildren. 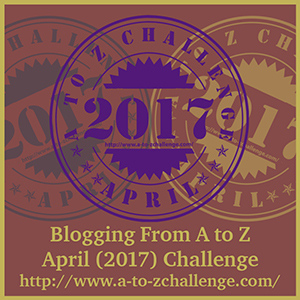 I’m back for “Year 4” of the A to Z… April Challenge. No one in our family ever thinks of cream puffs without thinking of Aunt Mary! She made the Best! Aunt Mary cooking… best known for so many good foods! While the cream puff recipe itself is pretty much the same for everyone… it was Aunt Mary’s filling that made them the best. Before learning her “secret” I made pudding from scratch… Italian cream we call it. It’s actually easy to make pudding from scratch… just eggs, milk, flavoring, cornstarch and sugar… stir until it bubbles, then keep on a low boil, stirring constantly, it will soon begin to thicken. I’ll post my recipe at the end if you’d like to give it a try. Even though mine were tasty with the Italian cream… there was something about Aunt Mary’s which made everyone dance a jig whenever they saw her walk in with them. But there was a secret… which I didn’t know the first time I made them… but I soon learned. Aunt Mary’s cream puffs are made with instant pudding and the secret is… use one-half of the milk called for on the package… with the reason being you want it thicker than normal. The other half of liquid comes from using one cup of heavy cream, whipped. Fold the whipped cream slowly into the instant pudding and blend well; let the finished mixture chill in the fridge for awhile before filling the cream puffs. We have also substituted one cup of Cool Whip instead of whipped cream. Just remember to always use “half” of what the liquid calls for on the package… as there are small and large boxes of instant pudding… each calling for different amounts. Prepare filling using only “half” of milk required on box… whip 1 cup heavy cream… fold the two together. Chill in fridge, then fill cooled puffs. If you can bear to freeze some of the puffs or make an extra batch… you’ll be one step ahead on making more another day! Aunt Mary always froze them in small batches… and if you stopped for coffee… she often treated you! A simple dish of few ingredients, but oh so good! It took me years to eat this as I never ate raw tomatoes… and when I first began making this, I often cooked my tomatoes slightly, but I’ve progressed into now eating them raw… and loving them! Unless everyone is eating this garlicky appetizer, Beware… you are going to have garlic breath, but it’s so good with all that garlic. Fresh basil adds a great flavor, but I often fall back on my “hoarded” bag of dried oregano. My son and daughter visited Italy several years ago to visit family and I was gifted a huge bag of homegrown oregano. They grow all their herbs and dry them. I was never a fan of bottle oregano, but this is certainly different… and I never hesitate to use it in my bruschetta if I’ve forgotten to buy basil. I do love the smell of basil… anytime I come near a fresh basil plant in the grocery stores, I’m just compelled to touch and smell the aroma on my hand. I guess I’m a little OCD with that attraction; Rosemary does the same thing for me. I’ve never had much luck in sustaining a rosemary plant longer than summer. I remember once while visiting my mother, we went to a restaurant where they had a “huge” rosemary plant growing outside their doors. I was so jealous and all I wanted to do was sit there and smell that plant… there must be something about their fragrances as I find them both very calming. My “hoarded” bag of oregano from Italy! You’ll need small toasts to serve the bruschetta on… either a loaf of sliced Italian or French bread works fine. I’ve even seen some served on Melba toast or varieties of specialty chips or crackers… whatever you like. I toast my bread slightly, then rub with garlic cloves and drizzle a small amount of olive oil on top. Scoop a spoonful of the tomato mix on each little crostini… “little toasts.” Have several garlic cloves ready for rubbing, as they disappear fast in rubbing on the toast; they seem to just melt into the bread. If not serving immediately leave the toasts on the side and let your guests make their own. How many tomatoes you use depends on how much “bruschetta” you’re making. This is a great lunch dish to use if you have tomatoes in your garden – and if you don’t… make friends with everyone who does! If you do have a garden… well you know how many tomatoes at one time you can get. When we had a garden, I remember being overwhelmed with lots of veggies at one time. Luckily there was an apartment building next to us with many seniors… they loved when I took over my extras! They enjoyed telling me how they had watched my garden grow! It was always a big decision as to what type of tomato brand my father in law planted… Big Boy, Beefsteak, or Early Girl, but he usually ended up buying the Big Boy brand… not sure why, but I wasn’t a tomato connoisseur then. My father in law always had a garden every summer. At the first “thought” that warm weather was finally descending in Connecticut after a cold snowy winter… he could be found readying his garden every evening…. turning over the soil, adding fertilizer, and digging out the tomato cages. A few of dad’s tomato and zucchini plants, which flourished very well… but not so much the tomatoes. In as much as Dad attended to his garden… it just never really produced for him. We used to laugh about that as we watched him work in the evenings… maybe he over-watered… or maybe too much pool chlorinated water splashed on them. But whatever the reason, as to why it didn’t produce as it should… it gave him an outlet to spend time outside and produced enough to supply him with tomatoes all summer. Bruschetta is a very famous Italian appetizer… the name comes from the italian verb brusciari, which means – to burn. So called Bruschetta… as the bread is grilled or toasted. True bruschetta was made by grilling day old Italian bread and drizzling with the best extra virgin olive oil you had. You’ll find it served in many different ways in various restaurants… there’s no set recipe… always up to the chef! Show up at a picnic with a tray of this toasted appetizer… and watch it disappear quickly! I’m hoping Nancy Drew will come along and help me break down my “Brick Wall”… brick by brick… on John Bryan (circ.1753 – 1835). I’ve packed a bag… just as Nancy would… you can’t go on a hunt without your notebook, pen, flashlight, a good magnifying glass and a cellphone. I bet Nancy would have solved more mysteries if she’d had a cellphone! In trying to break this ongoing brick wall on my John and Nancy Bryan… I’m going through Ancestry… again… and trying to deduce… who isn’t my John Bryan, just like Nancy would do! The original inhabitants of Franklin County, Georgia were the Cherokee and Creek Indians; the Creek Indians were more warlike, unlike the Cherokee who were more peaceful. Over the years, the Indians became indebted to the new white settlers, which led to the treaties of 1773 and 1783 where they eventually relinquished claim over the land to the white settlers. Franklin County, Georgia was formed on February 25, 1784, from parent lands, ceded by the Cherokee and Creek Indian lands in the Treaties of Augusta in 1783… land lying between the Ogeechee and Oconee rivers. Did the opening up of land in Franklin cause my John Bryan to move there? The Treaty of May 31, 1783, between the State of Georgia and the Cherokee Indians, is what led to the development of the ninth county, Franklin County in Georgia… the 1st new county formed in Georgia after the Revolutionary War. It originally had encompassed parts of South Carolina and land covering twelve future counties in Georgia. The first of my Bryan line was first found in Franklin County around 1785. The Treaty of Beaufort in 1787 allowed the secession of the northern section of Franklin County to South Carolina and ended on November 3, 1914, with the formation of Barrow County. Often my James Bryan is found listed as born in Bates County, Georgia… but there is no such-named county! Franklin County, along with Washington County, was the 1st new county formed in Georgia after the Revolutionary War… and now Georgia’s 9th county; so named in honor of patriot Benjamin Franklin. The state of Georgia soon began offering land grants in Franklin County to veterans of the War of 1812, but the land there was so remote that many veterans never took advantage of their rights of ownership; Franklin County is located in the western corner of the state, bordering to the county of Oconee County, South Carolina. Franklin County was a huge territory that eventually became the parent county to new counties… Banks, Barrow, Clarke, Jackson, Oconee, and Stephens, and also parts of Gwinnett, Hall, Hart, and Madison, as well as three counties that are now part of South Carolina. Is it possible that my Bryan’s may have ended up in these counties when the lines changed? In those days, you could easily live in a different county from one day to the next! The Franklin County Courthouse wasn’t built until 1906 in Carnesville, which is also the county seat of Franklin. The Treaty of Beaufort in 1787 allowed the secession of the northern section of Franklin County to South Carolina. What about the land given over to South Carolina… could I be missing Bryan records there… somewhere? My early Bryan’s had moved from an undetermined place in 1787, and now found in Franklin Co., Georgia. The first census taken in Franklin County was in 1790, showing a count of 1,041 in population. Did my John Bryan, Sr. settle in Franklin County because of a land grant? A John Bryan in Franklin Co., GA. enlisted in the Revolutionary War. My John Bryan received a land grant from the War of 1812… in the 1827 Georgia Land Lottery. That land grant reads… John Bryan, R. S., from Franklin County, Georgia. His fortunate draw in the lottery was parcel No. 175, in District 25, Section 1, in what was then Lee County, Georgia, later Sumter County, Georgia. I need to re-check the relinquishment papers of James, Tarrance, and Elizabeth… as I believe this land grant is referred to. A John Bryan is mentioned in The Roster of the Revolution by Knight in section titled “Certified List of Revolutionary Soldiers Compiled by Capt. B.F. Johnson from Lottery Lists of 1827–p.346: “Bryan, John, lottery 1827, Franklin Co., Ga.
For service in the war he received a land grant in Lee County, now Sumter County, Georgia. John was the father of eight children by reading his will and land deeds. Illar (Ilia, Illac, Ilias?) and a Thomas Bryan were the only names listed in John Bryan’s will of October 20th, 1825 in Franklin County; was that possibly because they weren’t married and not yet out of the household? The name of Tarrance Bryan is from the land deeds from himself to our James Bryan, who was born in 1791 (his obit lists his birthplace as Sumter County, Georgia, but when he was born that county was not yet created. On that land deed also was a Callaway Bryan that was a witness to the transfer; he may possibly be one of the eight children of John Bryan. I know that my James Bryan, son of John Bryan, was married in Franklin County, Georgia. His Pension file for his service in the War of 1812 contains the following information: James Bryan “…declares that he is married; that his wife’s name was Elizabeth Cain, to whom he was married at Franklin County, Georgia, on or about the 1st day of October, 1818”. This shows that my Bryan family had at least some connection to Franklin County, which was settled before Lumpkin County. A will for a John Bryan was signed by him on October 20, 1825, and was subsequently registered in the Probate Court of Franklin County, Georgia, on November 29, 1825. No further information pertaining to this will have been uncovered, and it was apparently never probated when John died, or at least no record has been found of its probate. In this will he lists his wife, Nancy; her maiden name still remains a mystery. This will appears to have been made in the later years of John Bryan’s life, but I have no idea when he died. From a land deed of James Bryan and John Keadle, we find mention of John Bryan, deceased – deed dated Nov. 13, 1837. Dec. 31, 1835: Newspaper clipping of Nancy Bryan filing for Letters of Administration of the late John Bryan’s estate. I question why it was filed in Gwinnett Co., but I did find Nancy Bryan(t) and Ittar Bryan(t) listed on the 1830 Gwinnett Co. Census; a Harrison Bryan(t) was also listed nearby. Nancy moved there with son Ittar/Illac… this possibly proves her husband, John, was already deceased by 1830. Why did she wait until 1835 to apply for letters of administration? Excerpt of will of John Bryan: Even though “only” two children were listed by name (Illac & Thomas)… it also states “all my estate both real and personal be equally divided among “all” my children. It would have made it much easier for me if he had listed “all” his children! These are the children I believe to be of John and Nancy Bryan… but who was the 8th child, could it be Harrison or Callaway Bryan? My James Bryan named a son Callaway… he could have named him after his brother. John Bryan of Habersham, I believe to be John Bryan Jr. The John Bryan, grantee of land in Franklin County, Ga in 1793, I believe to be the father. 1784: Franklin County, Ga., formed from Cherokee Indian Lands. 1791: John Bryan possibly placed in Franklin County; John’s son James Bryan was born in Georgia from census records; son, James Bryan born 1791. 1805: John Bryan of Franklin County, Ga. was entitled to 2 draws in Lottery. He drew 2 blanks. 1818: Habersham County, Ga. was formed from Cherokee Indian Land and Franklin County, Ga.
1820: John Bryan listed in the Habersham County, Ga. Census. 1827: John Bryan, R. S., of Habersham County, Ga. drew land in Carroll County, Ga. in land lottery. 1835: newspaper notice of death of John Bryan by wife Nancy. Check for Bryan’s in the counties that branched off from Franklin County. Could my missing Bryan records still be residing in the land that was ceded back to South Carolina? Recheck Franklin County History book (I have). Franklin County Clerk of Superior Court has Land Records from 1786 and Court Records from 1798. The County Clerk of Superior Court has jurisdiction over cases for a title to land and equity, felony cases, adoptions, divorces, child support, and custody enforcement. Lands were given to Georgia citizens by lotteries for the years 1805, 1807, 1820, 1821, 1827, 1832, 1832 (Gold), 1833. Franklin County Clerk of Probate Court has Marriage Records from 1806 and Probate Records from 1786. The County Clerk of Probate Court responsibilities includes legal proceedings for Wills, Estates, Guardianships of minor children, Involuntary Committals Hearings, Issuance of Marriage License, ect.. The county probate judge’s office is the office where the most valuable genealogical records are created and maintained in the state of Georgia. Many “BRYAN” researchers have surmised that our John and Nancy Bryan may have come from Rowan Co., N.C.
1790 N.C. Census: John Bryan, head of household, 1 slave, and a free white female (My John Bryan was in Franklin Co., Ga in 1790, could this be his father?). Land Deed No. 2144 from a John Bryan, assigned to Charles Lovelace, 200 acres, Issued Oct., 25, 1786; Entered March 26th, 1779; BK 67, Pg. 110. Located lying on both sides of Fifth Creek. 1795 Rowan Co: Land Deed – John Bryan… lying on Dutchman and Cedar Creek. I believe my John Bryan to be in Franklin Co., Georgia by this time as my James Bryan was b. 1791. So who is this John Bryan, his father? This relinquishment proves that a “John Bryan” is the father of my James Bryan. The Joel M. Bryan is the son of John Bryan Jr. (James brother) and wife Nancy Mayes. Many researchers initially tied Nancy Mayes into the John Bryan b. 1753/60, but that has been proven untrue; Nancy Mayes married John Bryan, Jr. It seems everyone tries to hook into the will of John Bryan (1825) in Franklin County, Georgia. In my ongoing search for my elusive John Bryan with a wife of “Nancy”… I’ve been trying to deduce on Ancestry all the John Bryan’s that are not My John Bryan. John Bryan married to Nancy Ann Duncan: In the tree I discovered this John and Nancy, they have linked him to the will in Franklin County and using the same dates of 1753-1825, with Nancy Ann born 1762. While the names match as to who I am looking for, there’s no evidence… but they did also list a son named Thomas Richard Bryan, b. 1793. In my John’s will, he did list a son named Thomas. Maybe I need to look more into this John and Nancy Ann Duncan? John “William” Bryan Sr: I find this name on Ancestry with about the same dates as mine… an abt. b.1760 with death date of 1825 in Franklin Co., Georgia; this is the same about dates and death date from the will that I attached to my John Bryan. I’ve never found the middle name of William in the records I’ve researched, so I’m unsure about this… some on this line use a middle name of William? The heirs of a “John Bryan” sold land in 1790 by document above… as Davidson County is adjacent to Rowan, N.C…. could this be a clue to my Bryan line? Davidson County was created from Rowan in 1822, so I can easily see how my Bryan’s could have been in both Rowan and Davidson Counties, N.C. In 1753, Rowan County was created from Anson County. From the 1750s, up onto the time of the American Revolution, Rowan County included most of the frontier area of Western North Carolina. All or portions of the present-day N.C. counties of Alexander, Alleghany, Ashe, Avery, Burke, Caldwell, Catawba, Davidson, Davie, Guilford, Iredell, Lincoln, McDowell, Madison, Mitchell, Randolph, Rockingham, Stokes, Surry, Watauga, Wilkes, Yadkin, and Yancey fell within the bounds of Rowan County at one time. 1865: 18th century land grant records were destroyed by Federal troops. 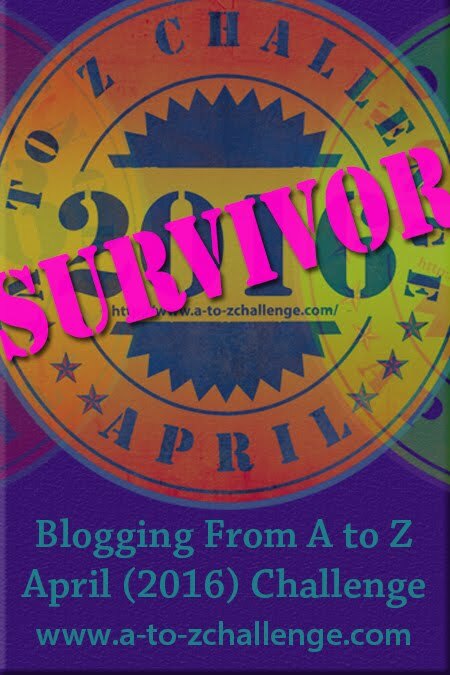 50% completely destroyed and 25% partially destroyed with 25% remaining intact…. The records I need to prove back to my John Bryan and beyond were possibly those very records? Morgan Bryan reached the Forks of the Yadkin in the spring of 1749… he was seventy-eight years of age. Samuel Bryan, ca. 1726 – 1798), son of Morgan and Martha (Strode) Bryan: In the fall of 1748, the entire Bryan family set out for relocation on Yadkin River in the newly organized Anson County, N.C. The Bryan children in the family were raised in the Society of Friends… their mother traveled to America among Huguenot refugees… their father’s heritage was probably Presbyterian. Moravian preachers referenced their “good friends”, the Bryans in their Moravian journals. Are there Moravian journals that might hold Bryan clues for me? Samuel Bryan was listed on the rolls of the Rowan County 1754-55 militia along with his brother, Captain Morgan Bryan, Jr. Samuel Bryan made his will in 1798, he lists no child named John Bryan. Bryan, William ca. 1733 – 1780, fifth son of Morgan and Martha (Strode) Bryan. Morgan arrived on the Yadkin in the spring of 1749. By 1753, Rowan County was created from a part of Anson, the area in the Forks of the Yadkin in what is now Davie County, was now known as the Bryan Settlements. My Bryan’s were in these same areas at the same times.. somehow, they must tie in… but where? Daniel Boone moved his family to Boonesborough in the fall of 1775… the first record of my John Bryan in Franklin Co., Georgia was a land record of 1775… did my John Bryan move out of Rowan, the same time as other Boone’s and Bryan’s? Many Bryan researchers believe our “John” to have been born in Rowan Co., N.C. The early pioneers in Virginia and North Carolina often migrated slowly into warmer climates as they opened up… Georgia held much of that for them, especially as Franklin County was formed in 1784.